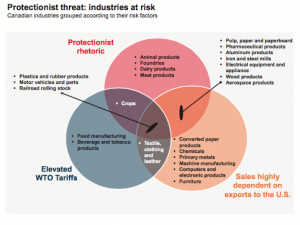 Global financial markets are attempting to determine the probability and the implications of the rhetoric and status of negotiations of various trade agreements. Most recently the implications of a trade war with tariffs has contributed to a 4% decline in valuations. At this point, while the protectionist probabilities increase the reality of increased costs globally is already being forecasted as the U.S. stock markets have experience some of their largest daily point drops in its history. Regardless of the outcome, increased volatility is assured. 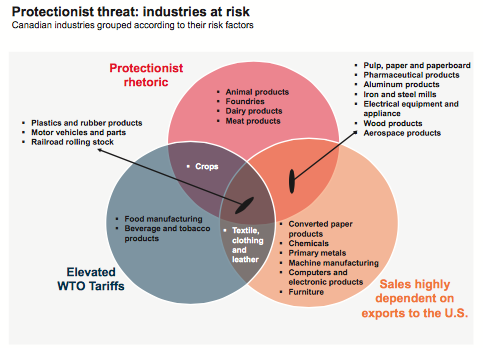 Our partners at the National Bank Financial (NBF) Economics offer a detailed exploration of the increased world protectionism for Canadian industries. Enjoy the special report from our partners at National Bank Financial on Canadian exposure to U.S. protectionism: Click here.